Of all the Americana bands to make it into the spotlight as of late, The Lumineers have had some of the greatest momentum. If you haven’t heard “Ho Hey” yet, you’ve probably hidden yourself under a rock, since it’s the sort of song you can sing along to before you’ve heard the whole thing. This band’s debut album has been earning acclaim for a year, but a new deluxe edition features five extra tracks, substantial video footage, and a stunning booklet. First, for the meat of the record. 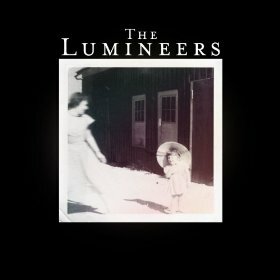 The Lumineers excel by harnessing simplicity. From the vocals to the melodies, everything sounds timeless and organic. As the lyrics to “Submarine” describe discovering Japanese ships, the music descends into a complementary drum and piano battle. “Slow It Down” is a slow, plaintive plea, while “Big Parade” is a clapping, upbeat tune that can produce a singalong just as easily as “Ho Hey.” My top pick for the album is “Morning Song,” with the electric guitar taking unusual prominence. This is one of the longer tracks on the album, and it’s a tragic slow burn that highlights how melancholy this band’s lyrics are. Are the bonus songs worth it? If you’ve ever seen this band live, you’d know that the answer is yes. “Ain’t Nobody’s Problem” is a jaunty barroom ditty, contrasting with the stripped-down cover of Talking Heads’ “This Must Be The Place (Naïve Melody).” “Elouise” is a live staple, and the lyrics “Let’s be David Byrne” refers back to “This Must Be The Place” quite cleverly. If you’re already a fan of The Lumineers, it’s worth checking out this extra content. If you’re not quite sure yet, the additional tunes will give you more of an insight into this band’s live presence—and their staying power.